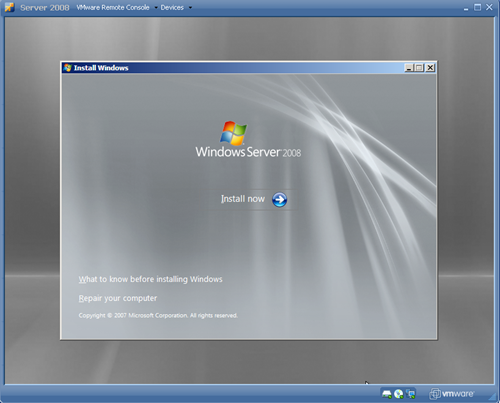 Today I will be installing Microsoft Server 2008 on VMware 2.0 for my testing lab; this server will eventually be my testing domain controller. 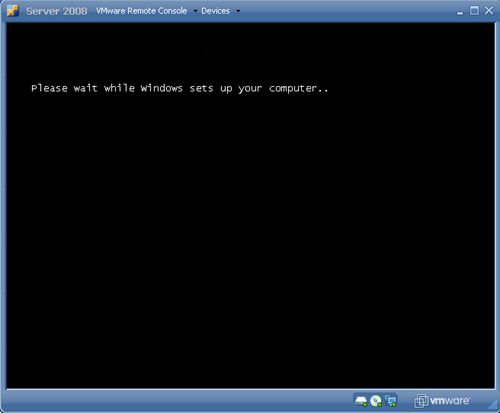 Read my previous article How To Create a Virtual Machine on VMware 2.0 to get up to date on what we have been up to. 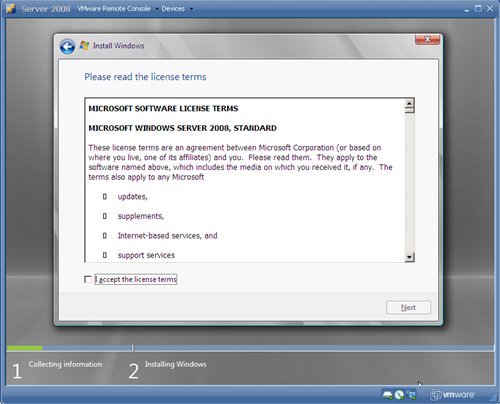 You can use Windows 2008 in trial mode for up to 6 months. Then right at the bottom select ISO Image. 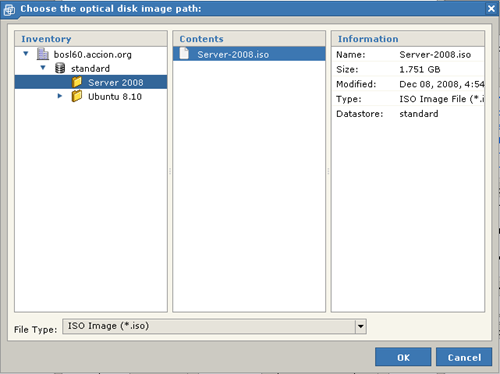 Select the ISO Image and click OK. now you should be ready to start. 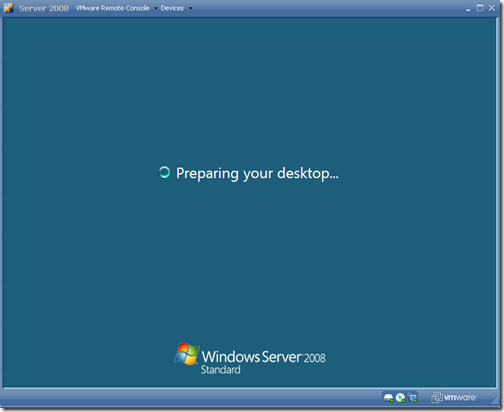 Power up the virtual machine. Choose your settings and click on Next. 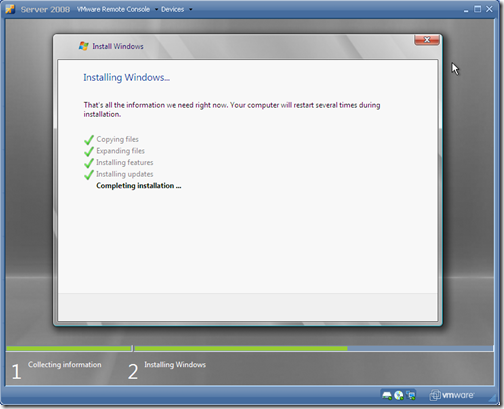 The Install Now button will come up. 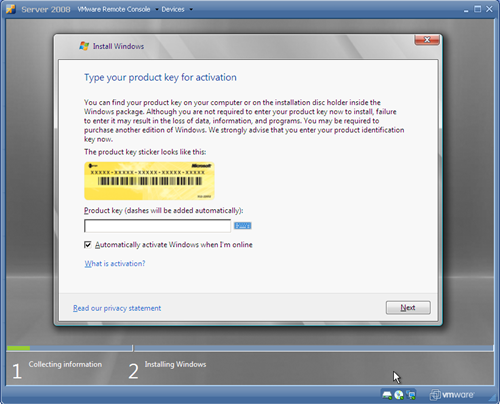 next, the activation button will come up. 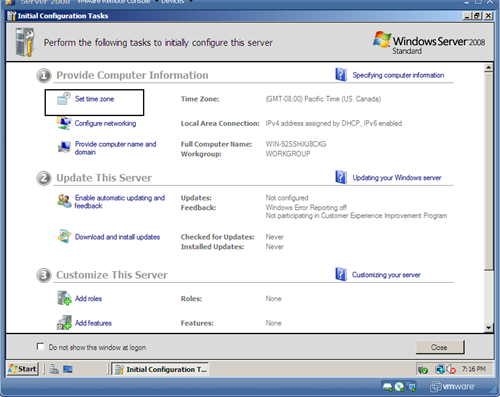 and because we don’t have an activation key for this server, we won’t put any. just click Next. 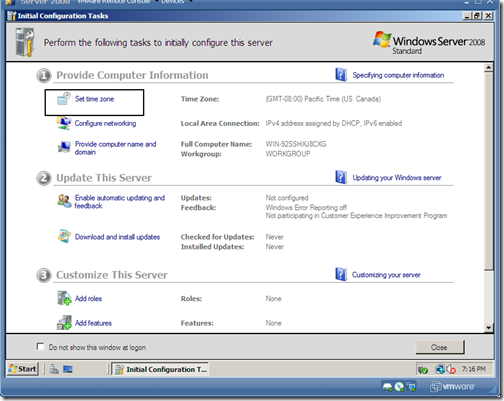 and assuming you are installing Windows Server 2008 just for testing clicking NO should be fine. otherwise you probably will need to buy a license when the trial period expires. 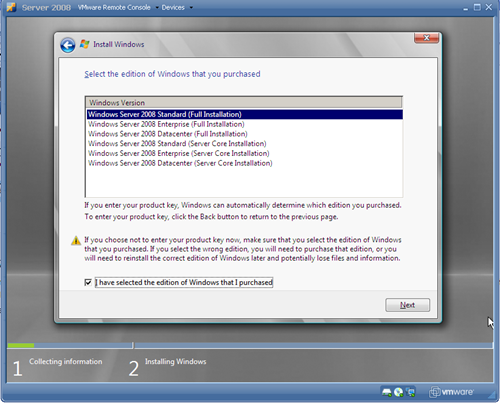 check “I have selected the edition of windows that I purchased” and click on Next. 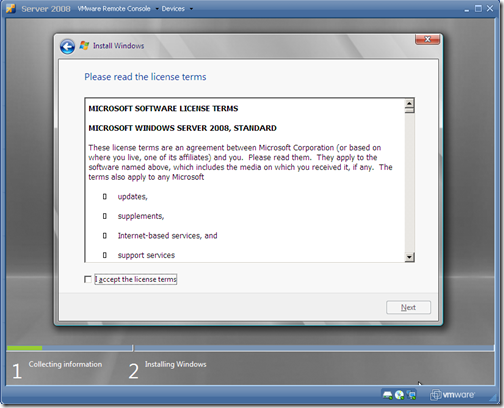 Click on Next, after agreeing the license terms. 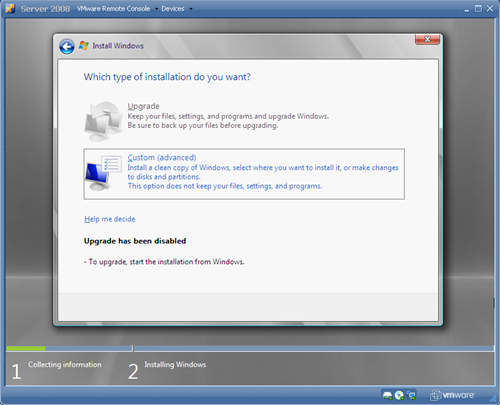 Next, choose the type of the installation you want. 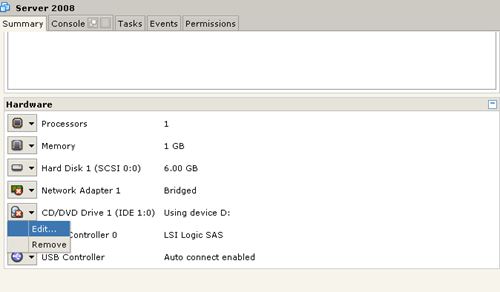 the Upgrade option should be grey-out, so choose the custom (advanced) options. click Next, after selecting your drive. Windows should start installing at this point. 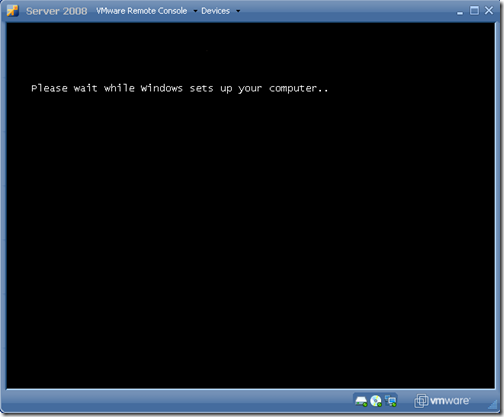 the above window should come up after windows rebooting. 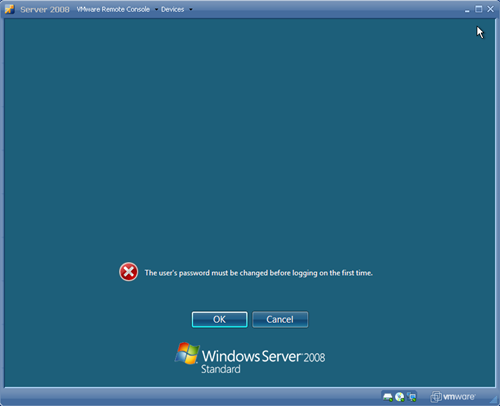 choose your password for the administrator user. After changing the password, windows should start preparing your desktop for the first time. 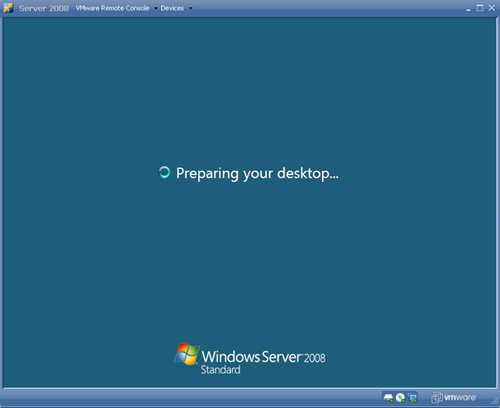 Wait a little bit, and windows will load. 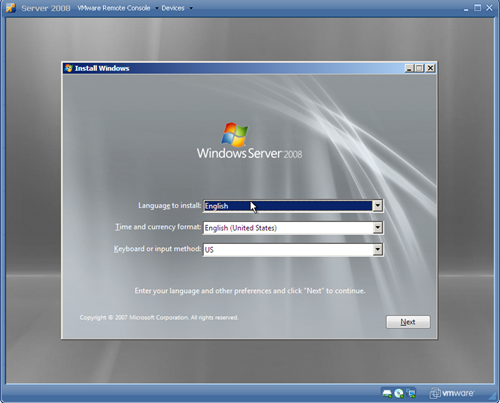 click on Change Time Zone on the window that pops up, and choose your zone, and click OK.
Now server 2008 should be installed on your VM machine.